The replacement belt strap for the Hermes buckle has been combined. On it are the JT initials of our customer’s embossed in monogram motif. Customer ordered this plus size saffiano leather belt for his father who has difficulties getting not only plus size belts, but plus size belts that are made of full-grain leather. This belt is a gift to his father for his birthday. Aquila Fashions is glad to be able to help, and to assure our customer both the length and the quality. This leather belt model sports a unique angular belt buckle which we really love alot, simply because it has a unique shape. It will go well with other belt colours. Customers are free to choose any buckle from our buckle catalogue under “Build your own belt” at the top or side of this page and we will customize accordingly. The following is an example of a different buckle with the same belt. Made of full-grain leather only. No PVC, no PU, no leather alternatives. This red leather belt sports a slightly more elaborate gold buckle. The buckle looks different with movement, from different angles, due to the layering on the relatively broad buckle, different from the “slim and simple” buckles generally preferred these days. Another fine detail we love about the buckle is the area on the inside where it comes in contact with the leather belt once fastened. The corners of the square are slightly rounded which complements the round external perimeter of the buckle. This leather belt sports a plague buckle which has a chunk of the inside removed. The result is a slimline plague buckle that reduces the amount of metal surface and not compromise its function as a “pop in” buckle type. This leather belt model brings back the good ole times, sporting buckles that are really the few remaining treasures from the past that one of our buckle suppliers still kept. The stripes and circles cut into the solid brass plate on this vintage buckle “moves” when light reflected off the surface shifts when viewed from different angles. This leather belt is the product of a boring day. Having fixed a few “normal” buckles for a few “normal” black belts to fulfill orders, we thought we’ll try something new to keep the brain alive. The vegetable tanned leather belt in full business belt style complete with stitches is fitted with a (literally) vintage buckle for an alternative look. The stripes and circles cut into the solid brass plate on this vintage buckle “moves” when light reflected off the surface shifts when viewed from different angles. 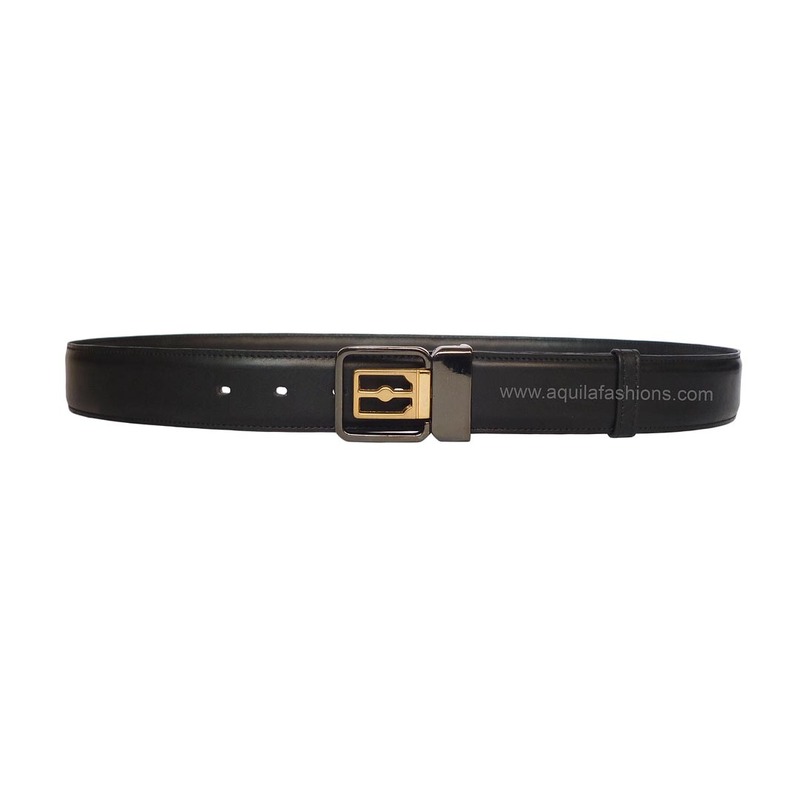 See this buckle 30299 with a black full grain leather belt. Formal leather belts are absolutely important for any business executive. However, some customers of ours like an alternative twist to their business belts. Instead of the “plain and simple” nickel/silver colour buckles, and also instead of flashy gold buckles, an antique gold/antique brass buckle is the preferred choice. A hint of difference without the overtness. The buckle on this leather lacks angles, and this detail makes it very popular with gentlemen with bellies, as well as gentlemen who require extra long belts. 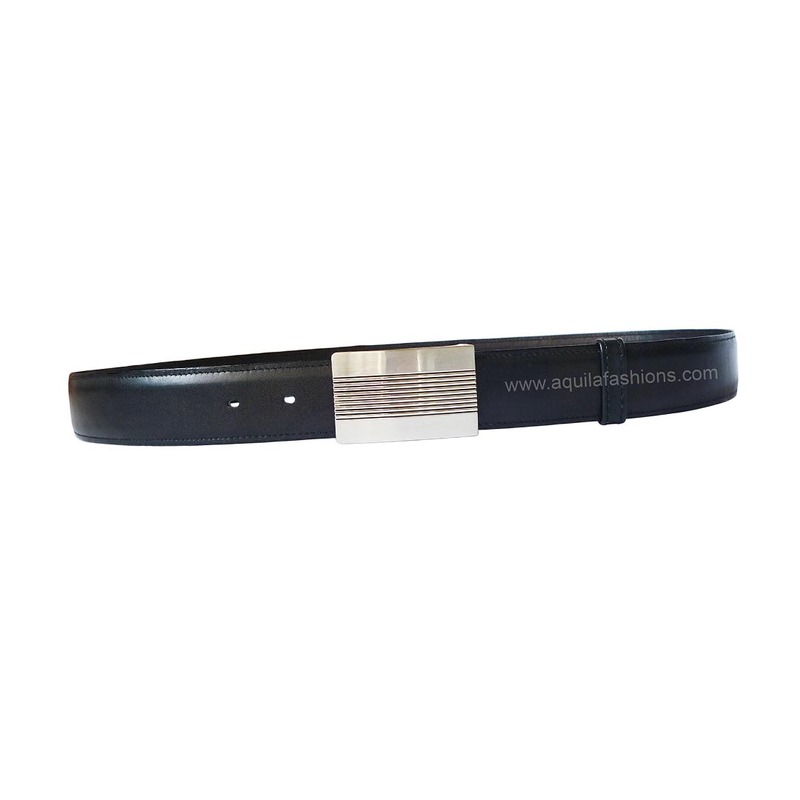 This particular leather belt model, made of saddle hide does not come in plus size. However do fret not. We have plenty of black leather belts made of full-grain leather (no PVC, no PU, no leather alternatives) for plus size gentlemen. Please click on “plus size belts” at the side or the top of this page. Popular. This leather belt has one really good looking slimline buckle on it. Certainly a favourite with many of our customers who prefer their buckles to be as “light” as possible, yes in the weight sense sometimes, but more so in the area of metal surface. This leather belt model is suitable for formal casual wear which sports khaki coloured pants and brown shoes. 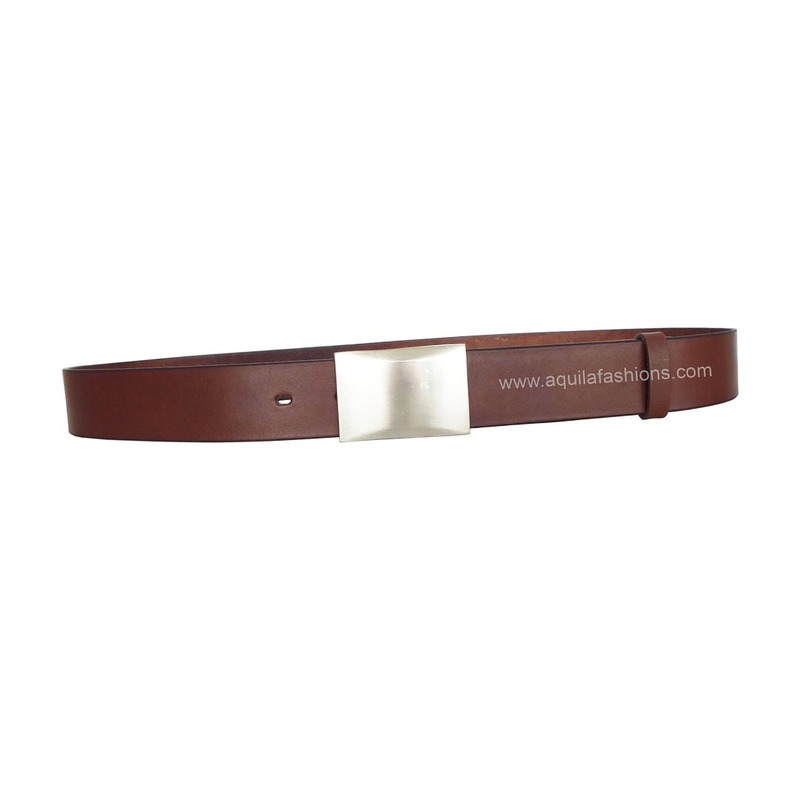 A leather belt for men made from our priced leather imported from Italy. The antique gold/brass colour buckle on this belt model has a rugged character with its dead square design and a flipped top, rather than a completely flat surface. 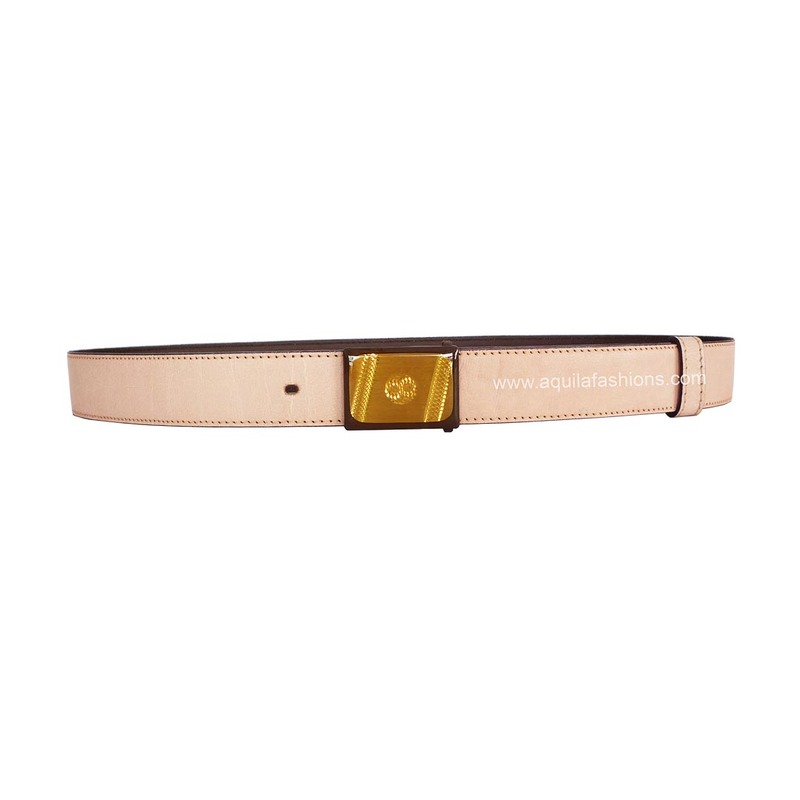 A unique pink-ish copper colour/rose gold colour buckle to go with a tan colour mens leather belt. This leather belt model is available in extra long sizes and this offers our plus size customers not only more colour options but non-black belts that are also made of full-grain leather, guaranteed. One of our favourite leather belt and buckle combinations. 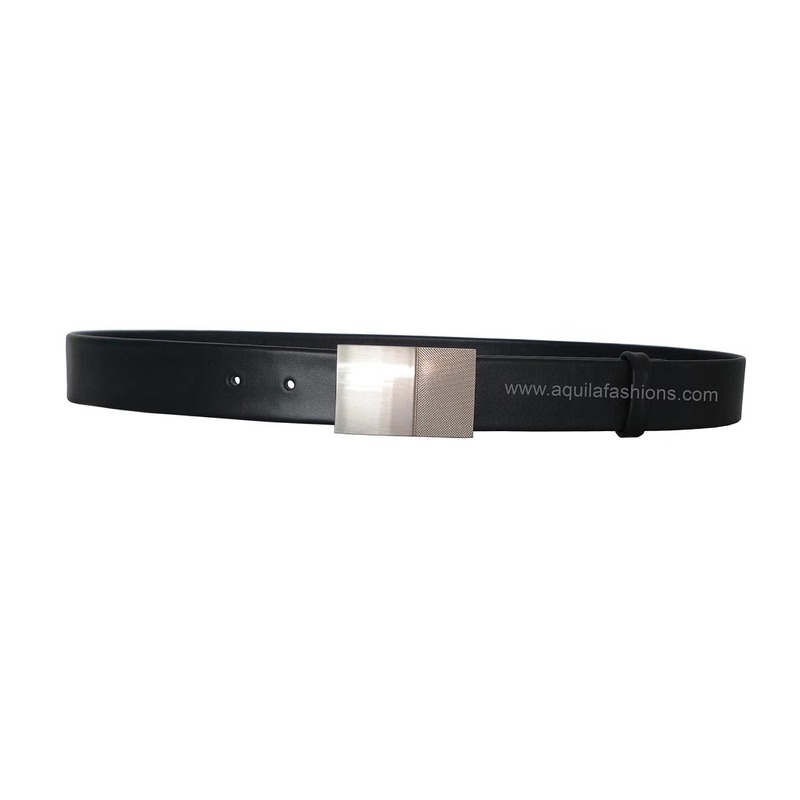 The simple silver/nickel buckle as well as the use of the metal loop enphasizes the lines on this faux crocodile leather belt. Nopes, don’t be mistaken by the word “faux”. This leather belt is made of full-grain buffalo hide that is embossed with the crocodile belly patterns. There are no PVC, no PU and no alternative leather used. A leather belt and buckle combination assembled by our customer himself. The not so slim-lined buckle chosen puts more metal surface on the belt on a whole, emphasizing the crocodile belly patterns on the leather belt. Nopes, don’t be mistaken by the word “faux”. 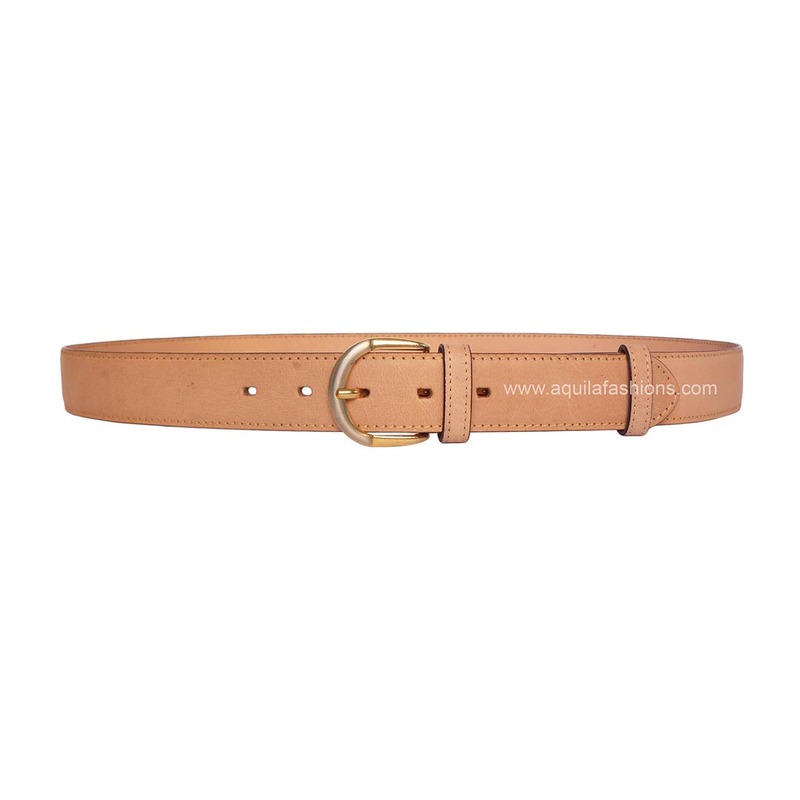 This leather belt is made of full-grain buffalo hide that is embossed with the crocodile belly patterns. There are no PVC, no PU and no alternative leather used. Yes, not wanting the buckle to jab into the belly when seated is an extremely frequently voiced concern and is most definitely a valid reason for wanting buckles that are round-ish rather than dead straight squarish. 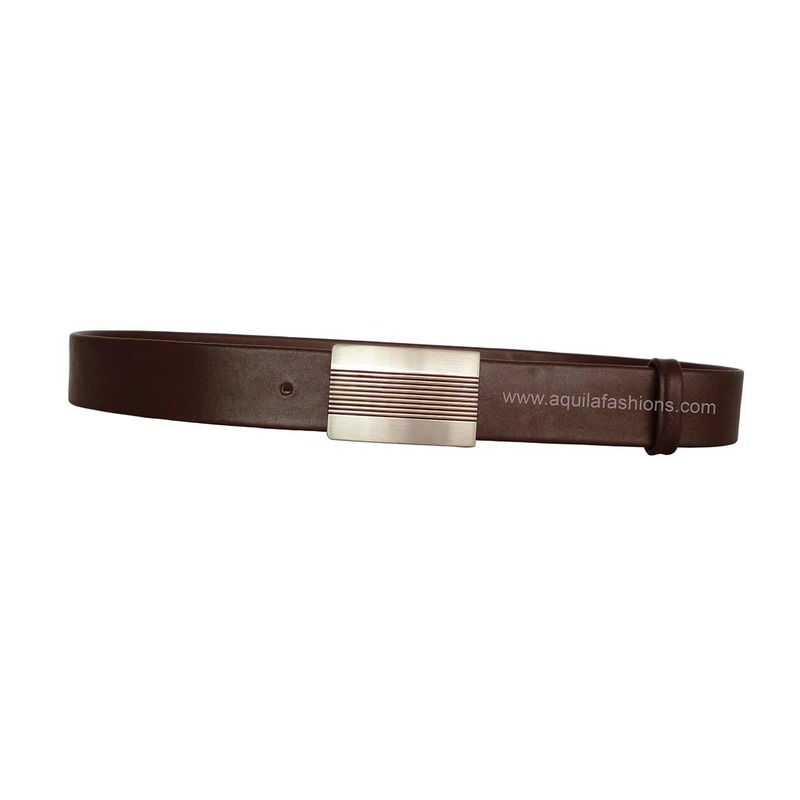 We recommend curved buckles such as this one on this leather belt. For customers who require extra large belts, please feel free to to inquire further. We have non-black colour options as well. The buckle on this leather belt is one of our favourites by mere facts that it is portrait-oriented rather than the usual landscape-oriented. Regular buckles, we have plenty (please see our buckle catalogue from the side or the top under “Build your own belt”), however to add a tinge of difference and boldness to your business wear, we would choose this leather belt combination. We have plenty of black leather belt with stitches for gentlemen who require plus size belts. Thereafter, what remains is the choice of buckle. The buckle on this leather belt, at first glance, is for use with a business belt complete with stitches. However, we decided to put it on a casual leather belt. As expected, the parallel vertical bars at the top of the buckle complements the clean, stitchless belt strap, resulting in each mutually emphasizing the sleekness of the other. 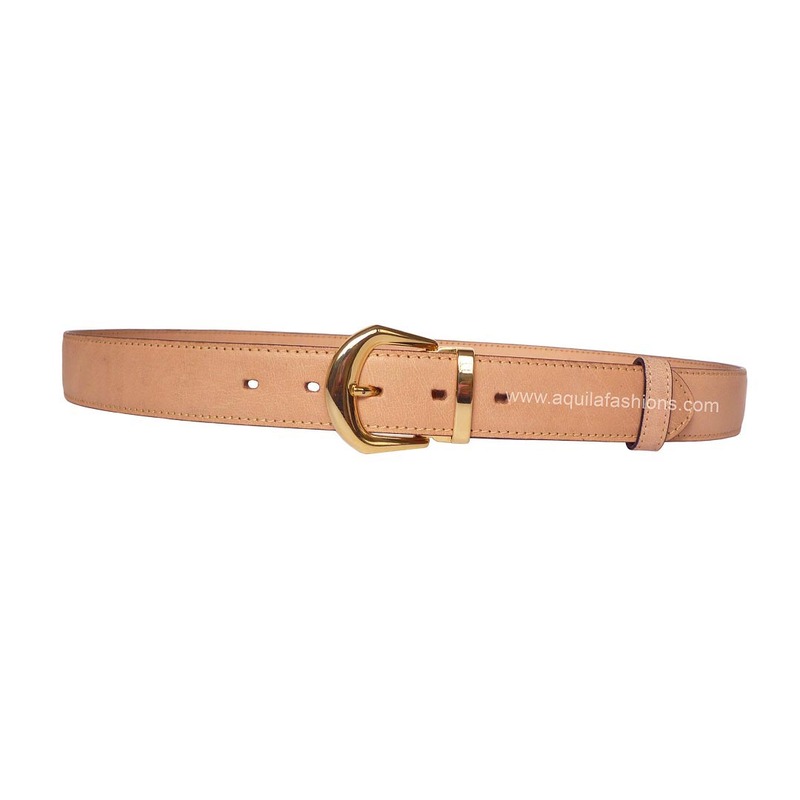 A classic leather belt model that will not go wrong. 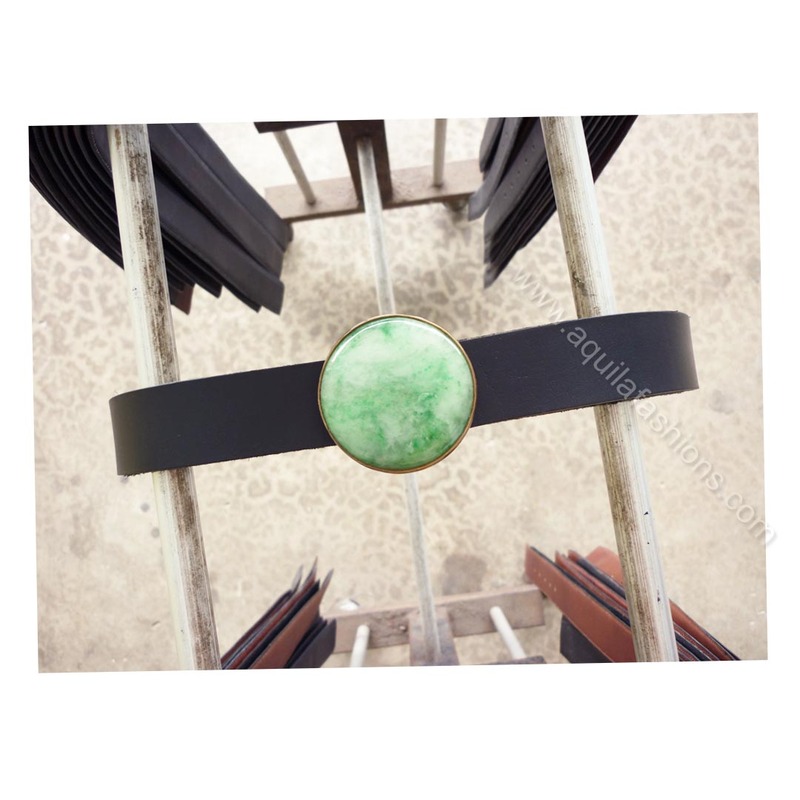 The belt sports a “pop in” plague buckle with horizontal lines to break the plainness of an otherwise completely smooth rectangle piece of metal. We have a photo of this buckle fitted on a black leather belt with stitches for full business use. On the other hand, this buckle goes very well with a stitchless dark brown leather belt too. It also means that it will also go well with a black stitchless leather belt strap. Whichever your choice, let us know! Customers can follow the steps for building their own leather belt, found at the menu on the side or at the top under “Build your own belt”! A classic buckle that is the choice of many of our customers. 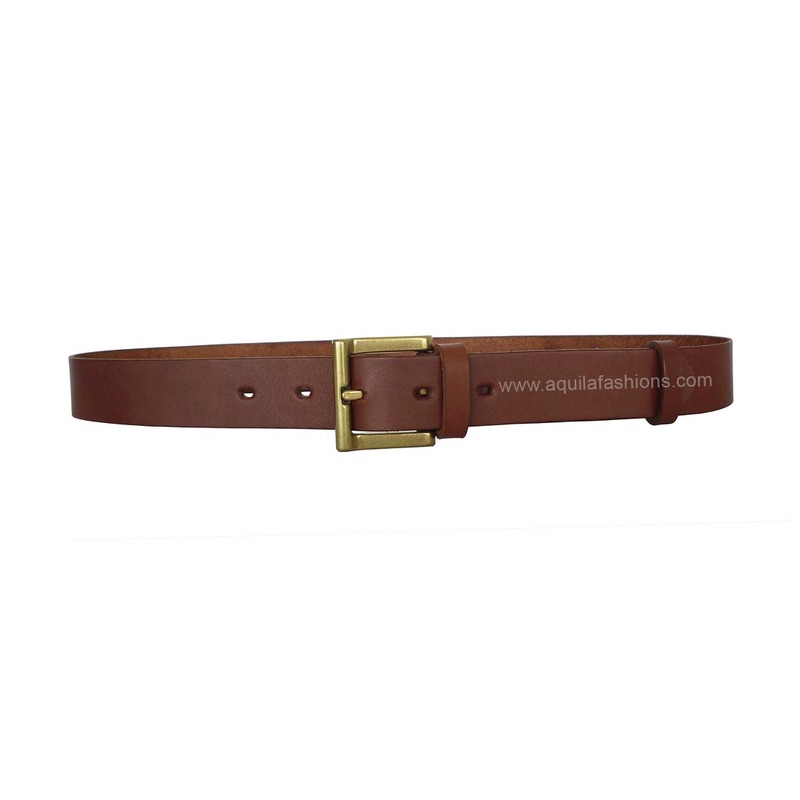 This faux crocodile leather belt, similarly, is built by our customer himself. The completely smooth surface on the buckle, void of lines and designs as found in some of our other plague buckles, contrasts beautifully with, and emphasizes the crocodile belly patterns on this belt. We wonder how our customer dresses with this belt creation of his. Sleek, sleek, sleek. The customer who built this leather belt with us (via the “Build your own belt” instructions page at the side or top of this page) wanted a buckle with no designs on it. Neither did he want any stitches on his belt strap. The result is an extremely clean looking belt, completely void of the mambo jambo that comes with some buckles and some belts. Customers can try this leather belt combination in black, instead of brown, and it will never go wrong.